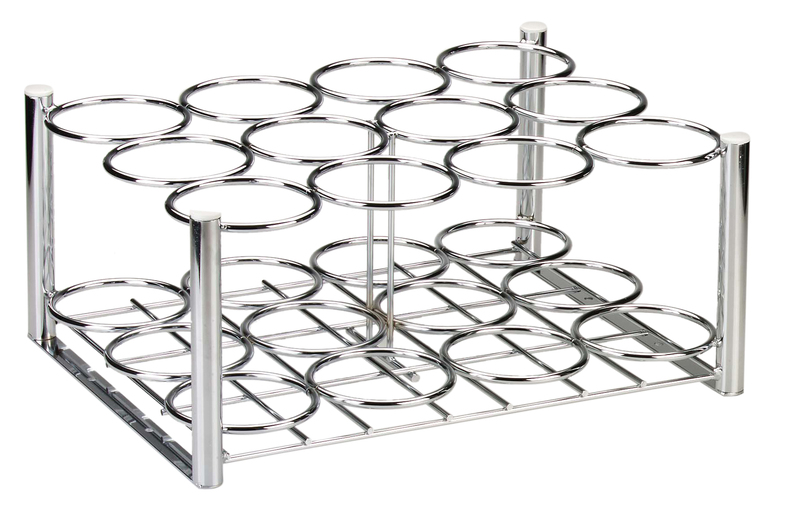 This Chrome Plated Steel Oxygen Cylinder Rack from Drive Medical is a secure way to transport or store multiple oxygen cylinders. Available in three different configurations supporting either D/E or M6 Cylinders there is a right choice for you. The rack even comes with mounting brackets on the underside so that it can be installed in a truck.